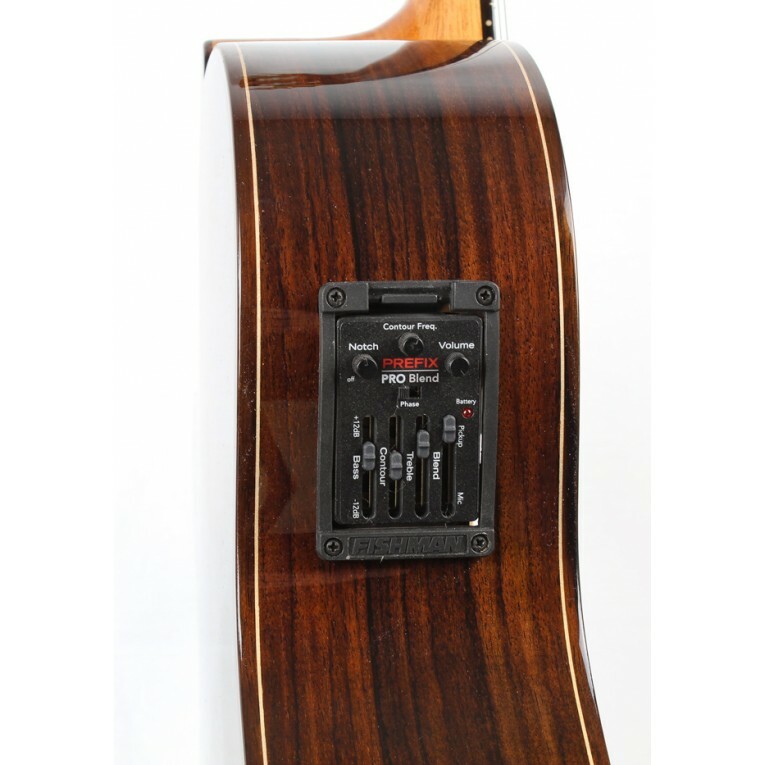 Fishman Prefix Pro Blend Amplification system for acoustic and classical guitar. 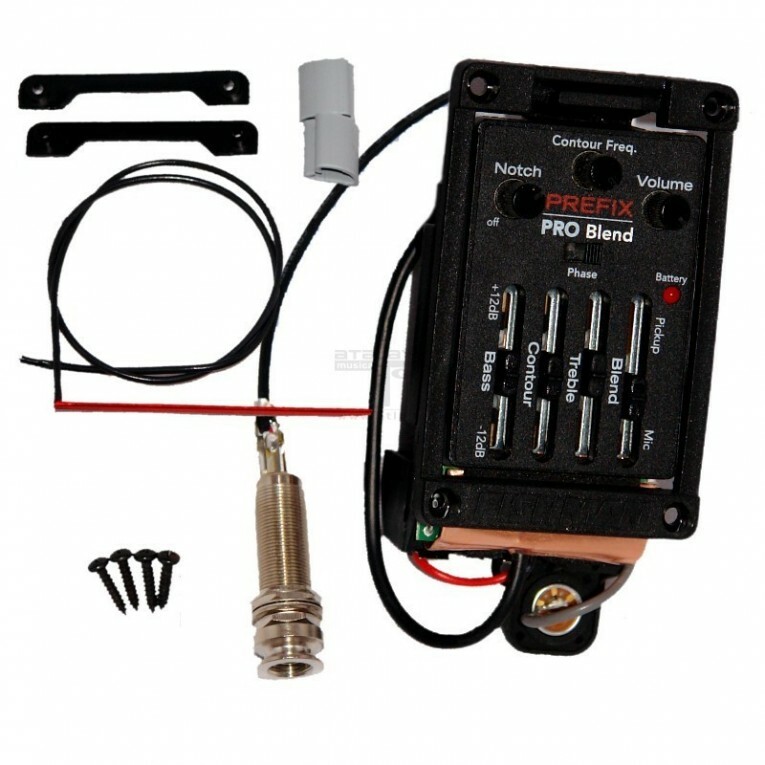 Complete equipment with preamplifier, piezoelectric pickup, connections, wiring and mounting screws of the guitar amplification system Fishman Prefix Pro Blend. Ideal for full bodied and smaller body guitars! This system packs features similar to the Prefix Plus series, on a smaller bezel that occupies 1/3 less space on the guitar. An excellent fit on slim-bodied acoustic-electrics. Designed for slim-bodied acoustic-electrics – 2” x 3” (50mm x 76mm) bezel occupies 1/3 less space than standard Prefix models. Volume control as well as bass and treble controls. Internal microphone. Pickup/Mic blend control. Wide-range semi-parametric Contour EQ. Stereo or mono signal paths for the system’s pickup and microphone. Feedback-fighting notch filter and phase switch. Revolutionary pivot design for instant 9V battery access. 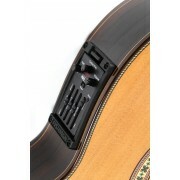 System includes an Acoustic Matrix Undersaddle Pickup and Switchjack Stereo Endpin Jack. Pickup narrow format 2,3mm. Professional installation recommended. This is an OEM product, intended for manufacturing. Although the product is the original, its packaging is not equal to the commercial product offered in stores. User guide included. Installation manual not included.